Just in time for The Grateful Dead’s farewell shows in Chicago this July and Santa Clara, CA on June 27 and 28, we visited The River Hill Grill in Clarksburg, MD for a little Dead treat by the aptly named “Wharf Rats.” Yes these guys are serious, fun, deadheads and if you can’t score those tickets for the Chicago or Santa Clara shows, this band could sooth your soul. 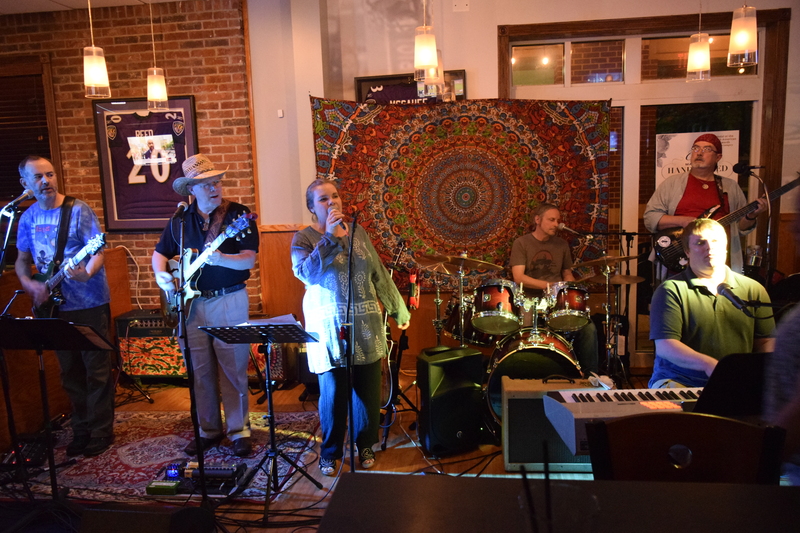 For six years this band has been delivering that folk, rock, psychedelic sound in the area. The video below features a cool Dead long jam called “Mississippi Half Step.” As you know, this kind of jam music is best served in one long magical piece, so no clips or highlights, just one long jam. Peace Love and Cheers! These pictures/video are 1080iHD, don’t forget to press the HD button!